Hello hypothetical readers, long time no see! Recently I’ve taken on to give purpose to an old laptop with a busted battery, which pretty much makes it useless as an laptop itself, however, its reasonably power efficient, low profile and low loudness, makes ideal for a makeshift headless server or media top-box. This guide is intended to show some ways of connecting remotely, their advantages best usage scenarios. Play Fallout: New Vegas on Linux! Hello Hypothetical readers, how are ya? This time around I’ll be telling you how to get Fallout: New Vegas working on your linux system, solving some of the issues… and probably creating some more (where I hope you will also help me figure it out). By the way, Fallout 3 is basically the same game engine as New Vegas, so everything here should work for it as well. Continue reading Play Fallout: New Vegas on Linux! Posted on 03/04/2015 27/08/2015 Categories GamingTags fallout, how to, linux gaming, wine2 Comments on Play Fallout: New Vegas on Linux! 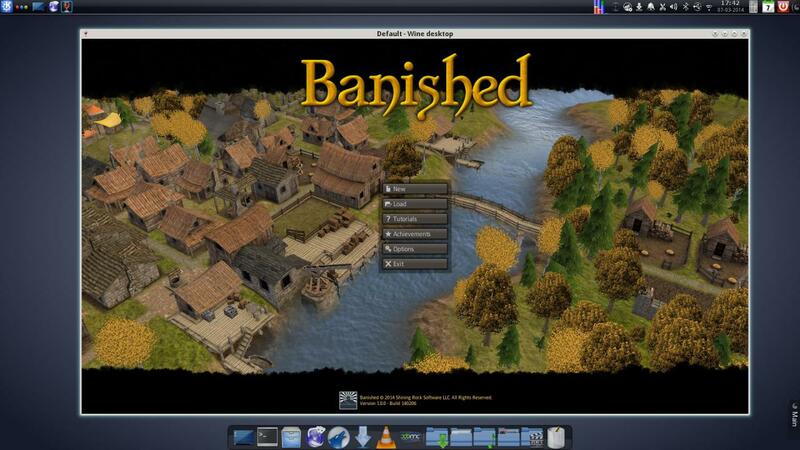 Hey there folks, I’ve finally got some time to show how to get this amazing village-building, sand-box strategy game, called Banished, working on Linux through wine( windows binary layer).As a quick start bonus I’ll share a screen cap of the game working with my awesome KDE system as canvas. And just so you know, the game itself works alright, I’ve had only a few crashes. The only remaining issue is that sound is usually garbled, more info on this below.